Have you been searching for a midsize sedan that you can enjoy driving everyday? 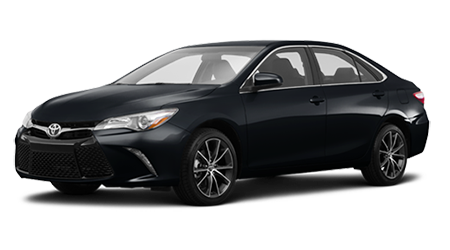 At Vann York Toyota in High Point, NC, we have a vast assortment of Toyotas for drivers to explore including the 2015 Toyota Camry. Our dealership is one of the state’s top-rated Toyota dealerships and serves Winston-Salem, Lexington, Asheboro, and Burlington, NC. Stop by Vann York Toyota at 500 Eastchester Dr. today and discover the new Camry today. The midsize sedan segment is packed with a lot of competition, so let’s see how the 2015 Toyota Camry does against the Honda Accord. Midsize sedans are known for getting great fuel economy for everyday use. When comparing these two vehicles against one another, the first thing you’ll notice is the fuel efficiency between the two. The Camry has a 2.5L inline-four that is matched to a six-speed automatic transmission that assists the sedan in returning 25/35 mpg (city/hwy). 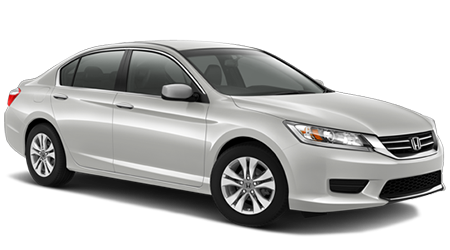 In comparison, the Accord is equipped with a 2.4L inline-four that is paired to a six-speed manual transmission that is capable of achieving 24/34 mpg (city/hwy). To give you the peace of mind to use the vehicle everyday, Toyota packed the Camry with a lengthy list of safety features. Both the Camry and the Sedan have a 3-yr./36,000-mile basic warranty and a 5-yr./60,000-mile powertrain warranty. In addition to these warranties, the Camry also comes with a 2-yr./25,000-mile free maintenance plan that does not come with the Accord. If you’ve been looking for a versatile midsize sedan that you can enjoy driving through , Greensboro, Kernsville, Jamestown, and Thomasville, NC every day, then explore the 2015 Toyota Camry. The new Camry has the edge over the Honda Accord with its extended warranty and fuel-efficient engine. Come by Vann York Toyota in High Point, NC at 500 Eastchester Dr. today and test drive the Camry today.